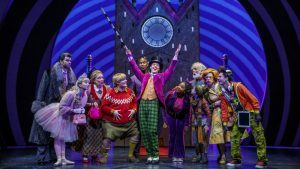 This play is the perfect recipe for a delectable treat: songs from the original film, including “Pure Imagination,” “The Candy Man,” and “I’ve Got a Golden Ticket,” alongside a toe-tapping and ear-tickling new score from the songwriters of Hairspray. Get ready for Oompa-Loompas, incredible inventions, the great glass elevator, and more at this everlasting showstopper! With eight Tony Awards under its belt, Stephen Sondheim and Hugh Wheeler’s Sweeney Todd has become a bloody, dramatic, yet funny musical theatre classic. Purlie Victorious, that strutting, new fangled preacher man is back home and he wants a church and he wants freedom. Witty, memorable music and a whole lotta of fun unfold in this play. The reimagining of Ray Bradbury’s classic tale takes us into a sinister future where firemen are called upon to burn the true enemy of any authoritarian state: books. But one unsuspecting fireman is about to discover that there’s much more to life than what the well-ordered regime spoon feeds the populace. Let the little ones experience the joy again. This delightful musical will once again paint Buffalo a brilliant shade of pink! Follow the yellow brick road to this lovingly faithful adaptation of the classic tale of Dorothy, Toto and the whole gang. The ‘Pump Boys’ sell high octane on Highway 57 in Grand Ole Opry country and the ‘Dinettes’, Prudie and Rhetta Cupp, run the Double Cupp diner next door. Together they fashion an evening of country, rhythm and blues and rockabilly songs that received unanimous raves on and off-Broadway and a 1982 Tony nomination for best musical. 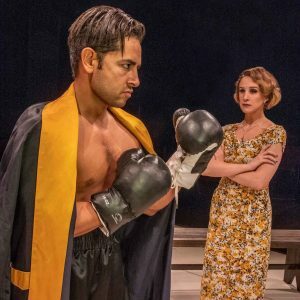 In this brilliant and timeless American classic, scrappy young Joe Bonaparte is torn between the desire for the modest and satisfying life of an artist and the pressure to pursue fame and fortune as a prizefighter. This is the same cabaret format of songs, stories and humor as their ever popular DIVA by DIVA, the longest running show in Western New York. This time the Gents join the DIVAs to explore the unique relationship between men and women, with a special emphasis on Buffalo Legends. After six years of hiatus, the incomparable duo of Abel and Basil returns for one weekend only. This special event covers a wide array of topics from the past several years through song and story, with special guests each evening. An absurd, off-beat and funny reimagining of the famous Voltaire, along with his trusted companion Collini. It seems he’s stolen a treasured notebook from Frederick The Great and the monarch’s men have him surrounded in the German town of Frankfurt. It’s a theatrical entertainment devised for only the stout of heart. This play tells the story of Westerberg High School being terrorized by a shoulder-padded, scrunchie-wearing junta: Heather, Heather and Heather, the most popular and cruelest girls in all of Ohio. A down on his luck middle aged man inherits an apartment in Paris and must live with the elderly woman that has inhabited it for decades. 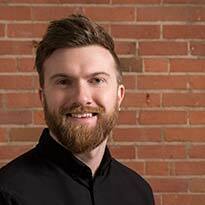 There, he learns friendship, falls in love, and must finally deal with the death of his father. Get the latest news, reviews and theatre listings by visiting the Theatre Alliance of Buffalo.